WILL SUZUKI MAKE A COMEBACK? We think Yamaha’s potential introduction of a Grizzly boasting its 850 parallel twin might just be enough to reignite some passion from Japanese manufacturers like Honda, Kawasaki and yes, even Suzuki. It’s been almost ten years since the last time Suzuki introduced a new off-road vehicle and the company’s KingQuad media event two years ago was simply a reintroduction of the same vehicle with up-to-date badging but no real updates. We’ve made some speculation about a pure sport side-x-side from Suzuki featuring a toned down variation of its parallel twin 1056cc snowmobile engine, but it might make more sense for the company to introduce an updated version of its KQ with a brand new 850 twin of its own and beat Yamaha at its own game. 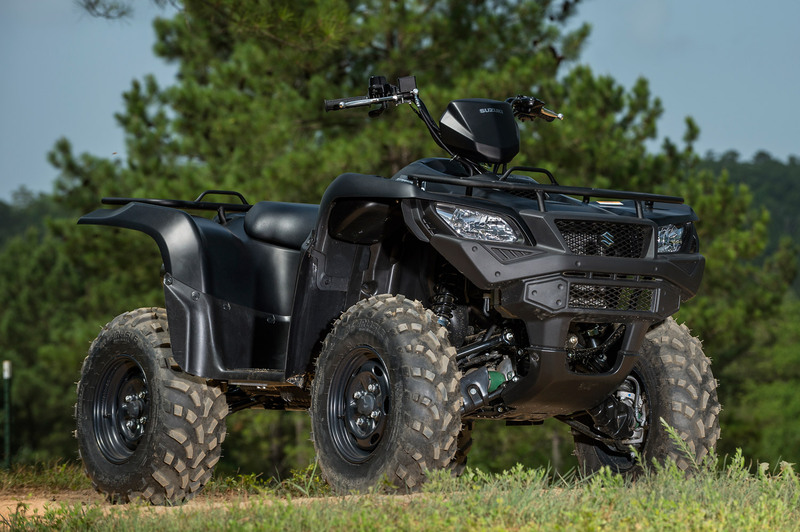 Changes to the KingQuad’s bodywork would top the list, but updates to front end geometry and refinements to EPS would make a significant impact to modernize handling of an ATV that was once an industry leader. From the feedback we've been getting, this is something consumers have been begging for, not to mention dealers and 2019 may just be the model year Suzuki steps back in the ring. Bottom line is we think there’s something brewing out there – we’re just not sure what!